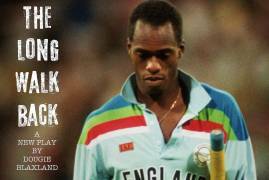 Following the success of 'When The Eye Has Gone', Dougie Blaxland is back with another play, and it's coming to London soon! 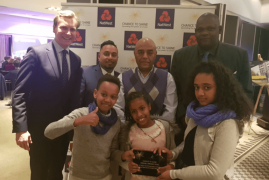 Congratulations to Fairholme Pirmary School in Hounslow, who were joined by Tim Murtagh to celebrate being named as the Chance to Shine Primary School of the Year. 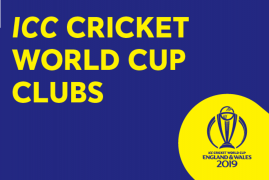 If you're a club in Middlesex then get involved in the ICC Cricket World Cup and become a CWC Club and you could receive grant funding! 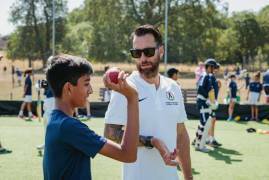 Nominations are now being taken for the 2018 Middlesex Coaches Association Awards - nominate coaches here! 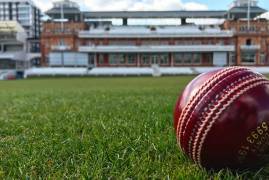 We're introducing a new section into our Annual Review magazine, featuring the best members' stories from the 2018 season! 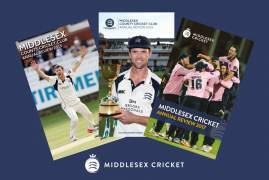 Send us yours now! 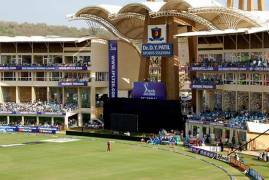 DY Patil Stadium in Mumbai, host venue of the 2008 and 2010 IPL Finals, to host the first India TMGA camps in November. 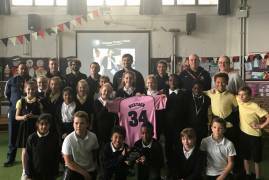 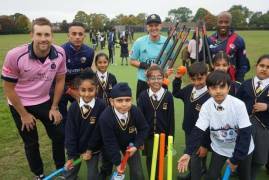 On Friday the Middlesex Cricket Participation team and Chance to Shine were joined by Sadiq Khan - the mayor of London, who announced new funding for Street Projects. 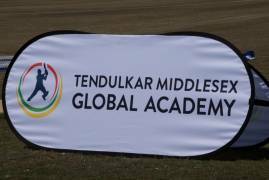 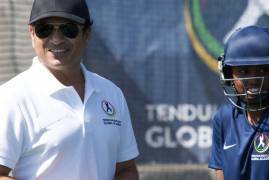 Middlesex Cricket is delighted to announce that Bayside Sports has been appointed as the delivery partner for the forthcoming TMGA camps in Mumbai and Pune in November. 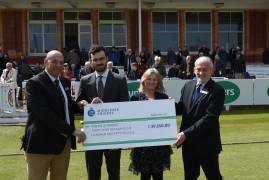 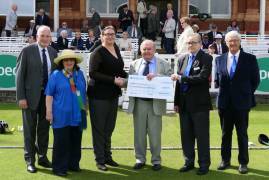 At lunchtime today Middlesex Cricket were presented with a cheque for over £10k from the Seaxe Club to fund All-Stars Cricket bursaries. 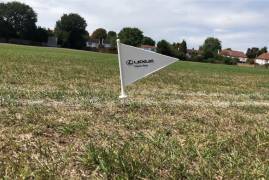 Last weekend clubs around the county began using their brand new Lexus Edgware Road boundary flags - provided free by Middlesex's official vehicle partner!